A shadow box frame is a great idea for a small portrait or piece of artwork. They are also often used for framing flowers and even bugs. The shadow box picture frames all have an overhanging edge that creates a shadow on the picture itself. This creates depth to your image. Plus, the frames are very attractive as a decoration. 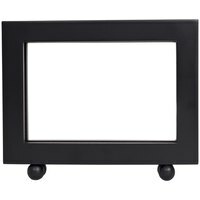 Check the back of the shadow box picture frames you want to hang for hardware. Some will include hanging hardware, but most will not. That's because shadow box picture frames are made for a table or desk, their thick border is the stand. Fasten a picture hanger diagonally across the top corners of the shadow box picture frames you want to hang. Use a very small tack nail or hot glue to mount these hangers on the frame. Now you have an easy way to hang the shadow box frames. Place the shadow box frames on the wall and decide where you want to hang them. Make a small light pencil mark along the edge and side, effectively tracing the corner of the frame on the wall. Measure the length from the corner on the shadow box frames (diagonally) to the end of the hanging bracket, to find the distance from the corner you want to hang the nail. Measure this length on the pencil mark, use a protractor to get the exact angle of measure. Then install the nail at this point for both ends of the shadow box picture frames. Hang the shadow box frames on the nails. They can protrude from the wall at a length that is equal to the depth of the backing from the back edge of the frame.